A teenage driver panicked and gave an old school friend's details when stopped by the police, as he was a learner and wasn't insured, a court heard. Isa Shabir was caught after officers posted some documents through the door of the address they had been given. The man whose name Shabir had used contacted police and said he wasn't the person who had been pulled up. 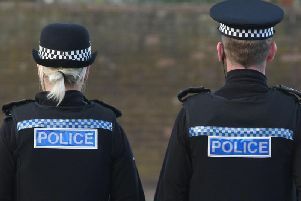 The lie has now led to the 19-year-old being fined £120 after he admitted police obstruction, no insurance and driving otherwise than in accordance with a licence, last November 10. The defendant, of Reedyford Road, Nelson, must also pay £85 costs and a £30 victim surcharge. Mr Andrew Robinson, prosecuting, told the hearing at 1-30am, police saw an Audi being driven in the Colne area and stopped it. The defendant later admitted giving the details of a friend he once went to school with and said he had panicked. He had no previous convictions. Mr John Rusius, defending, said Shabir and and another young man were sleeping in a car and neighbours, concerned about where the vehicle was parked, told them to move on. The solicitor continued: "The other person was disqualified. He couldn't move it. To please the neighbours and assist his friend, he moved the vehicle."